Ironically, if someone asked me why I write and draw, the only way I could put it into words would be to write it down. Hence this post. It’s like breathing; a necessity. If I don’t create one drawing or write something every day, then I don’t feel like I’ve achieved anything. Just today, I drew this. It’s by no means a perfect drawing. It doesn’t mean a great deal, but I just had to get it out of me. It took me about 20 minutes to draw. I also started a new short story that I plan on subbing to an anthology. The central theme for the story is “wounds”, both psychological and physical. I look forward to seeing where it takes me. If I had my way this would be the extent of my existence. Writing and drawing my life away. Because it’s what makes me TRULY happy. 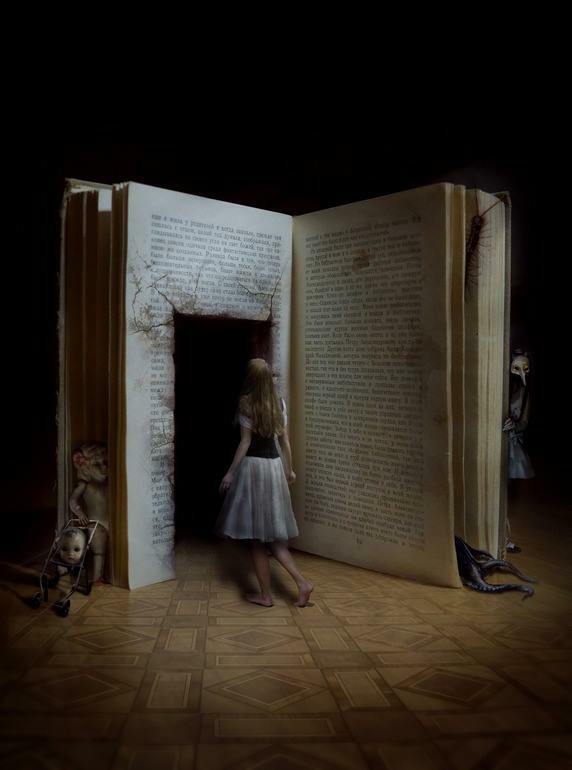 I saw a picture on Facebook today, an illustration of what looked like Alice about to step inside a gigantic book that had had a door cut into it. This is exactly what it’s like to be a reader. For a writer it’s much more. There are hundreds more doors, waiting to be opened. Behind those doors are monsters, or angels, signs and wonders. When I am writing or drawing I feel like I’m unlocking all those doors and freeing what’s on the other side. 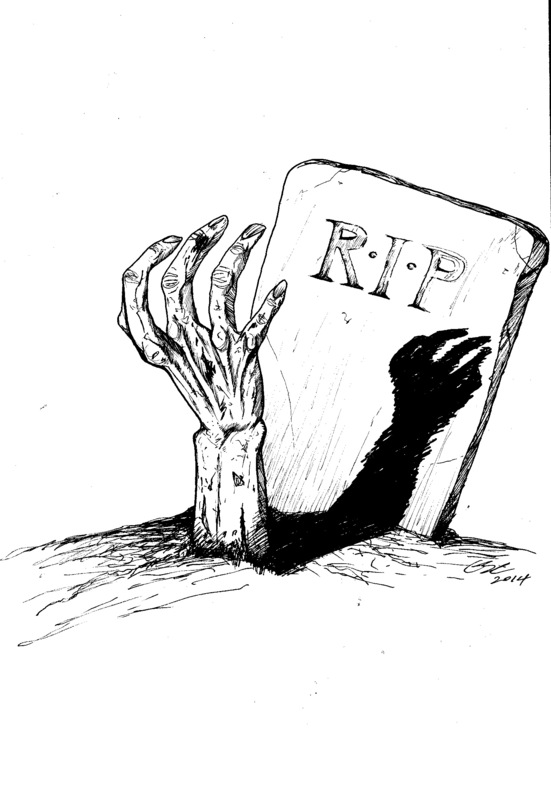 My art can be quite macabre at times and I think it’s my subconscious trying to express some fear of mortality. I’d love to know what drives everyone else to create. Is it a compulsion that you have to fulfil, or is it simply a labour of love? Great post, Greg. And great pics! For me, there’s no choice — I write. It’s part of who I am. Storytelling is the greatest gig in the world, sure, it can sometimes sucker-punch you and laugh while it does so, but I can’t think of ever doing anything else. For me, it’s almost an infection of the brain. An idea strikes me, slowly building in my head until I NEED to get it out on paper in a weird form of exorcism.